Remove from heat, mix in sugar and egg and beat to combine. Sift in flour & baking powder then stir in ground almonds until combined. Press half the mixture into a greased & lined 20cm square tin, spread with jam and dot remaining mixture dough over top of jam. Once cold, drizzle with melted white chocolate. 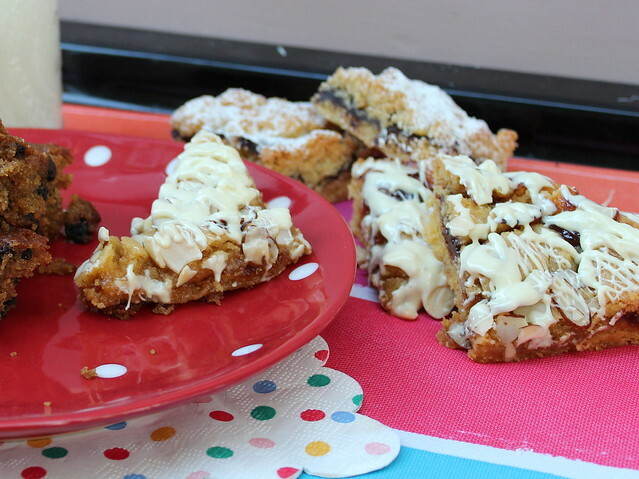 This entry was posted in Baking, Savour, Slices & Squares and tagged almonds, apricot jam, Savour, slice, white chocolate by Jo Dohrman. Bookmark the permalink.